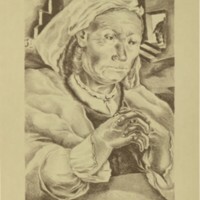 A lithograph entitled "Guanajuato Street" by Alan Crane. 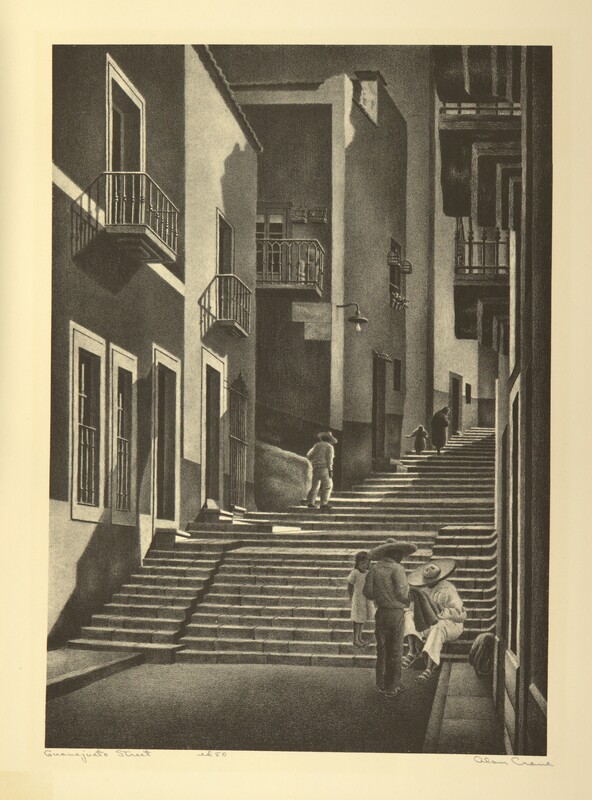 The lithograph depicts a street staircase with two story buildings on each side of the staircase. Pedestrians are sitting on or walking up the street staircase. 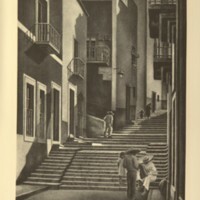 Reference: Mallet Library of Reproductions, Hackensack, N. J.
Crane, Alan, “Guanajuato Street,” Digital Exhibits, accessed April 23, 2019, https://cuexhibits.wrlc.org/items/show/71.